Our sparkling design concepts and persuasive English and Thai copywriting are supported by in-house experience of frontline sales and marketing, which means that our clients receive a complete commercial package that places them to advantage squarely in the marketplace. Our clients include many leading brands in Thailand, Asia Pacific and Europe, and our areas of specialisation cover the tourism and hospitality sectors, food and beverage, and property. We are a close team whose members have worked together for many years, so we understand each other as well as understanding the market and the needs of our clients. Bob founded Sheerbravado in 2000, having previously worked in senior sales and marketing positions around the world for leading brands including Hilton International, Shangri-La and Sheraton Corporation. For several years after moving to Thailand he held the position of vice president for sales and marketing at Central Hotels & Resorts (now Centara Hotels & Resorts). 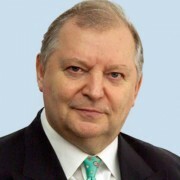 Bob has subsequently been involved with tourism and hospitality development at government level for many years and is a very active member of the tourism and hospitality business community. Prior to joining Sheerbravado in 2003 Nea developed a strong background in Thailand’s travel business. She is actively involved with sales and development and also manages the merchandising function, coordinating with key accounts, our specialist suppliers, and new business leads across all the Sheerbravado client groups. 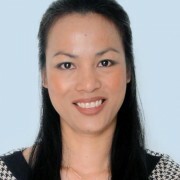 Fluent in English, as well as being a native Thai speaker, and with an in-depth knowledge of quality control, Nea is a key member of the management team. 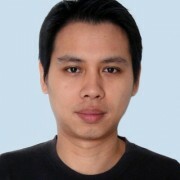 A graduate of Silapakorn University with a degree in design and fine art, Bon joined the company in 2004. His primary focus is upmarket design, specialist signage systems and 3D design, and he has worked with many of our key accounts. Bon is a creative and enthusiastic team member with extensive experience of working with architects, project managers, landscaping specialists and manufacturers, and has collaborated closely on a number of major projects within those disciplines.